The New Moon is that second chance you're given, over and over again. It's a powerful time to review and reflect upon your goals, clear and purify what is not serving you, so you can invite new beginnings and birth of new creations and goals to you for the month ahead. 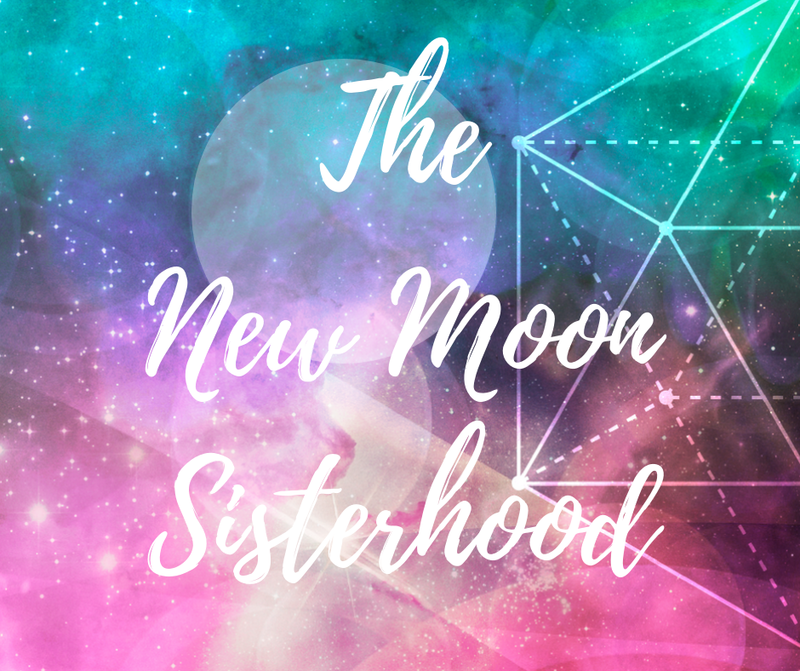 The New Moon Sisterhood is a powerful opportunity to do this in a safe, sacred energetic space, where you can amplify your own ability to heal, release and manifest all you are worthy of and desire, with the connection, encouragement, unconditional love and support of your divine feminine sisterhood. For only $9, you can connect with your tribe during the New Moon energy and be there for one another in an incredible space I create for you that you can call 'home', whilst you enjoy intention setting, energy clearings, meditations, visualisations, activations and healings, all intuitively guided from the collective energy of your Sisterhood. It's in the sharing of thoughts and ideas with like-minded women who understand you that allows you space for clarity, new energy and healing. Coming together at times when energy and vibrations peak, like the New Moon, provides you with a powerful energetic space to amplify your healing, intentions and manifestations, so that you can change; you can move forward, let go, and embrace what's to come. The value of connecting with your incredible sisterhood like this with me is $1000+, but you can become a part of something life changingly powerful today for only nine dollars a month.